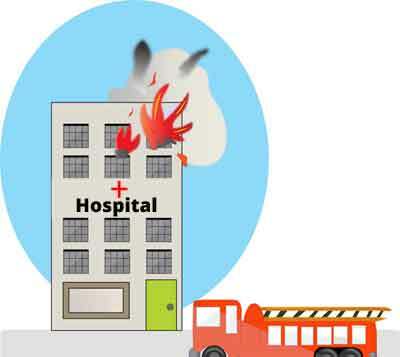 Kolkata: A minor fire broke out in Seth Sukhlal Karnani Memorial (SSKM) Hospital here evening, fire brigade officials said – the second instance of a fire break out at the largest state-run health facility within 10 days. A library in the sixth floor of Ronald Ross Building within the hospital went ablaze nearly a week ago. “A minor fire broke out today at cabin no.4 in the first floor of Woodburn ward of SSKM hospital at around 5.50 pm,” said an officer from Kolkata Fire Brigade headquarters. “The blaze had presumably started from an electrical short circuit. However it was successfully extinguished by the hospital attendants. No activity from the firemen were required,” he said. No injury has been reported in the incident.